After starting out the year with a lot of art, real life creeped in. The past 3 months have been divided between teaching, writing curriculum, taking a class at Ohio State, writing blogs for www.rollerderbyinsidetrack.com and announcing roller derby for the www.cincinnatirollergirls.com . Add on to that spending time with my girlfriend to keep my sanity and art went on the back burner for a bit. I did finish 2 pieces off during this time and a third that I am taking pictures of soon. The first piece is "When It is Your Time, It is Your Time". 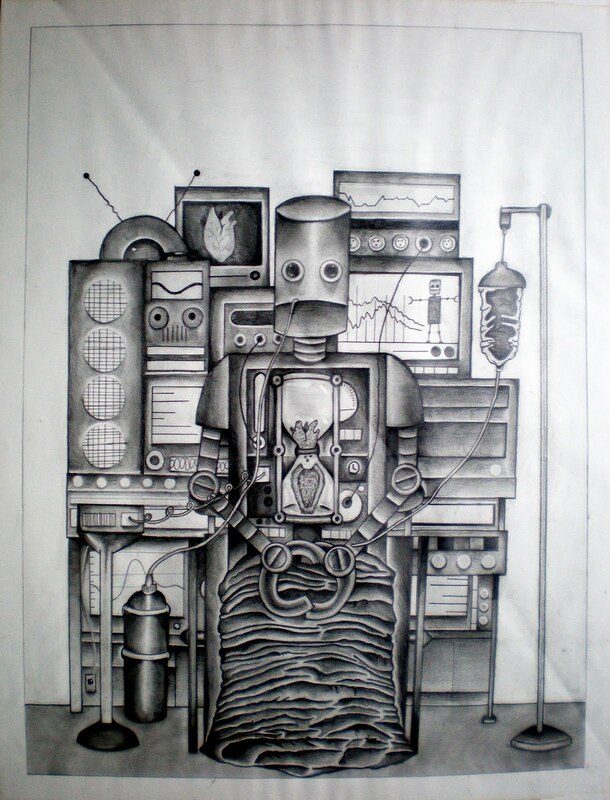 This piece is based off the idea of no matter what medical and technological advances we have achieved, over time we all break down, we all die. 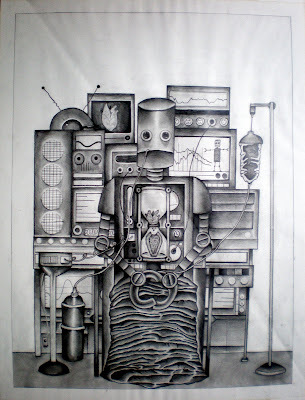 This is illustrated in this piece as the robot is hooked up to a number of life support machines but the little hourglass in it's chest is slowly emptying and turning into a coffin.